Home » Business & Economy » Cyrus Mistry's ouster from Tata Sons: Did he really fail to fill Ratan Tata's shoes? Cyrus Mistry's ouster from Tata Sons: Did he really fail to fill Ratan Tata's shoes? Was Cyrus Mistry's 'slow and steady' policy what lead to his ouster from Tata Group? What led to the sudden sacking of the $100 billion Tata Group's chairman, Cyrus Mistry? The Tata Group, that prides itself for being 'professionally run', had appointed Mistry as the head of the Tata Sons - umbrella company for over 100 Tata companies - choosing him over half a dozen big names that included Ratan Tata's half-brother Noel Tata, former Vodafone CEO Arun Sarin, PepsiCo CEO Indra Nooyi, Citigroup CEO Vikram Pandit among others. But four years into his job, what went so wrong to result in this sudden ouster? In the absence of any clear indication from the group's management one can only analyse the performance of Tata Companies under Mistry to gauge if figures can indicate as to why Mistry was asked to leave. 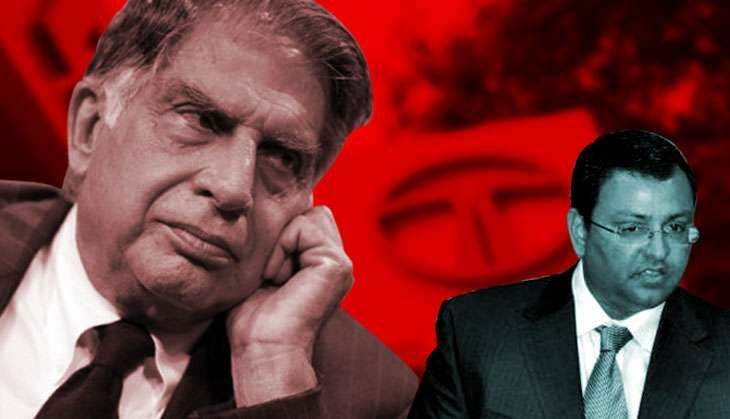 When Mistry was given charge of India's biggest conglomerate, the company was bleeding due to a few bad decisions taken under the leadership of its previous chairman Ratan Tata. One of those decisions was to acquire European steel maker, Chorus for $12.1 billion, the biggest global acquisition made by an Indian company till date. Due to Chorus, Tata Steel saw a decline of 30% between 2007-08 and 2014-15. Mistry continued to run the operations for three years after taking charge, but ultimately put his foot down in 2016 and announced the decision to sell off its European operations. Under Mistry, Tata DoCoMo, in which Japanese company NTT DoCoMo holds 25.6% stake, got into a legal dispute as the latter wanted to exit the venture by exercising the 'put option' and asked for Rs 7,250 crore. The Tata group was ready to pay the amount to amicably end the relationship with the Japense telecom giant, but the finance ministry did not allow the deal to happen, hence the matter is still in subjudice. Could Mistry have done anything in this scenario? Well, not much. Getting into a lawsuit was not Mistry's fault, but not being able to turn around a business over four years did raise questions over his ability to compete in the telecom sector. Tata DoCoMo's revenue went down to Rs 10,708 crore in 2015-16 from Rs 10,965 crore a year ago. According to Business Standard, the company had a debt of around Rs 30,300 crore at the end of March 2016. Its financial cost for 2015-16 was Rs 2,824 crore. Tata Teleservices recorded its highest ever accumulated a loss of Rs 31,500 crore in 2015-16. Many experts believed that the eventually, Tata Group would have had to sell its telecom arm to a bigger player, especially in the face of a challenge from the likes of Reliance Jio, who that had put the finances of all telecom players under tremendous pressure by introducing dirt cheap tariffs for data. One of the biggest challenges for Mistry was the revival of Tata Group's automobile business, which was on a downhill after the failure of Tata Nano. This is why after the sudden death of Tata Motors Managing Director Karl Slym in 2014, Mistry took charge of the company for two years until Guenter Butschek was chosen as Slym's successor. Under Mistry, Tata Motors decided to launch two passenger cars every year. The launch of Tata Zest and Bolt did mark a change in the public perception about Tata's passenger cars, but one can say that it was not even a quarter of a job done. Moreover, the slowdown in China had hit Tata Motors' overall revenue as the company had to resort to price cuts to arrest the fall in retail sales in its biggest market. Tata Consultancy Services (TCS), the biggest jewel in the Tata Sons crown has also been under huge pressure over the past one year. The company has revised its revenue targets downwards due to slowdown in the US BFSI (Banking, Financial services and Insurance) segment. Experts are of the view that TCS along with its peers like Infosys and Wipro, are in for a long-term sluggish growth as they face cost pressures from foreign clients. This pressure would be difficult to overcome due to the fact that Indian IT companies have not moved towards operational efficiency yet. In a scenario where the whole Information Technology sector is under pressure, should the decline in revenue growth for TCS be considered Mistry's failure? To manage a group as big a Tata Sons was never going to be an easy task. Moreover, Mistry took over the reigns of the behemoth at a time when the world's economy was going through structural changes leading to an uncertain business climate. In this period, as reported by the Economic Times, the turnover of India's biggest corporate house dropped to $103 billion in 2015-16 from $108 in the previous year, with nine of the 27 listed companies in the Tata Group reporting losses while the earnings of seven others dropped. In such a scenario a question one needs to ask is, during such tough times, could anyone else have performed better than Mistry? It was only recently that Mistry was seen getting into the groove to take tough decisions. He announced the closure of Tata's UK-based steel plant in March 2016 to get the white elephant off Tata Steel's back. Five months later, he decided not to give dividend to the shareholders of Tata Motors - this was only the second time that such a thing happened ever since the company got listed. When some shareholders expressed their displeasure on not getting a dividend for the year, a firm Mistry had replied, "We will all have to suffer in the short-term. 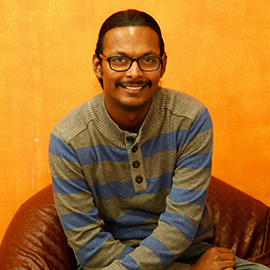 We had no funds in reserves from which we could give dividend." Can one say that the fact that Tata Group's recovery was too slow under Mistry is what lead to his ouster? If yes then what will be the criteria and target for the new chairman who will be appointed by a five-member committee headed by Ratan Tata? As of now, the only thing that can be predicted is that filling Ratan Tata's shoes - under whom the group's revenue grew 33 times at Rs 4.75 crore, in 21 years - will be an even harder task for the new chairman. TWEET THIS Why was Cyrus Mistry asked to leave? Here are the possible reasons Was Cyrus Mistry's 'slow and steady' policy what lead to his ouster from Tata Group? READ NEXT >> 3 police firings, 7 deaths: Is Jharkhand govt at war with tribals?